Home » News & Blog » What is mTOR? Does It Cause Cancer? What is mTOR? Does It Cause Cancer? Mammalian Target of Rapamycin or mTOR is nutrient sensing protein kinase and an important factor in health, growth, cancer and longevity. 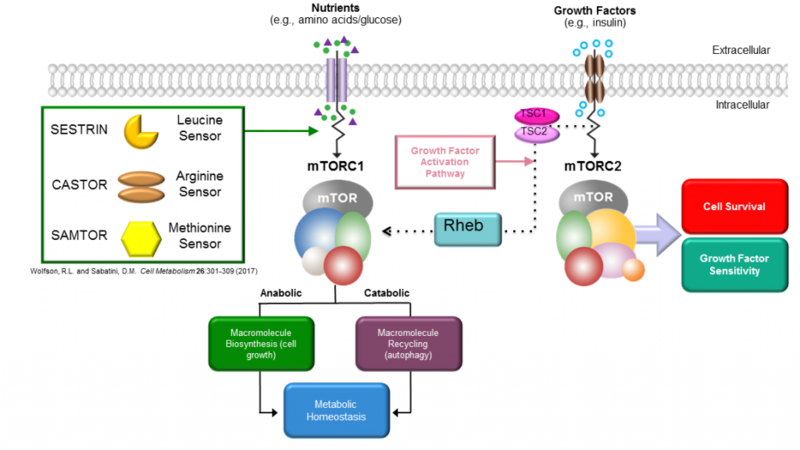 mTOR is the body’s main growth pathway that promotes muscle growth, cell replication, and anabolism. There are two mTOR complexes mTORC1 and mTORC2. Some people fear mTOR, as is linked to some cancers under certain circumstances as mTOR is anabolic. This is usually when there is mTOR dysfunction or disease already present. Over stimulation of mTOR in some species can shorten lifespan. mTOR is inhibited and AMPK is activated in times of nutrient scarcity. Fasting lowers glucose, insulin, and suppresses mTOR while raising AMPK. This is the best and most effective method of inhibiting mTOR. This also stimulates autophagy (breaking down of old damaged cells) and promotes ketosis. Glucose, insulin, IGF-1 all promote mTOR activation. Testosterone and androgens can also promote mTOR activation and induce muscle hypertrophy. 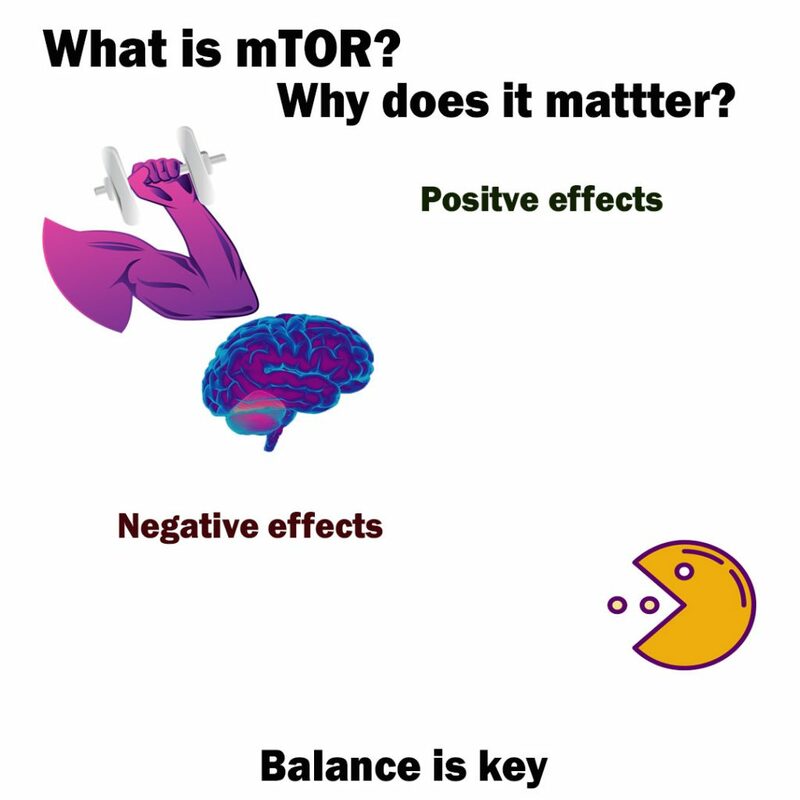 mTOR isn’t good or bad, it is about balance. Too much mTOR all the time is not a good idea. Not enough mTOR will affect lean muscle mass and cellular repair. I find the best way to balance mTOR is to incorporate fasting into my lifestyle. If you are in pain or want to improve your neurological performance I can help you.